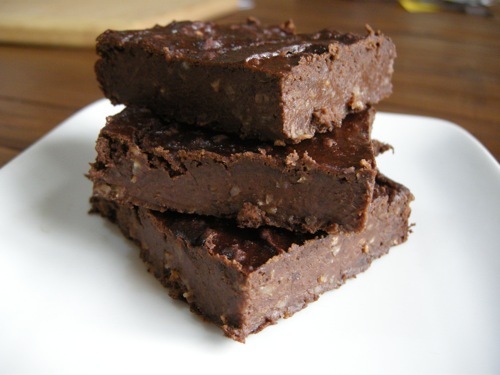 These brownies are not only absolutely delicious, and taste like decadent “real” brownies, but they are also really healthy for you. Made with only black beans, they are gluten-free and abundant in fiber, protein and vitamins. Combine all ingredients except for 1/2 cup of the chocolate chips in a food processor. Blend well. Fold in the other 1/2 cup of chocolate chips. Pour into 8×8 greased baking pan. Optional: sprinkle extra chocolate chips and walnut pieces over top. Bake for 15-18 minutes. Cool at least 10 minutes. Preheat oven to 350 F. Grease a 2.5 quart baking dish. For the souffle: Bake the sweet potatoes until soft (~1 hr). Peel the potatoes and mash. Add eggs, sugar, 1 stick butter, vanilla, milk and salt. Blend well and pour into greased baking dish. For the topping: Stir together pecans, brown sugar, flour and 1/2 stick butter until uniformly combined. 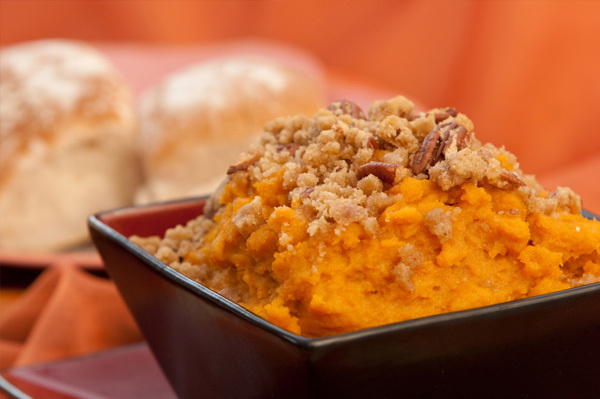 Spoon even layer over the sweet potato mixture. Bake for 40 minutes are until lightly browned. Let sit 3-4 minutes before serving. Preheat oven to 350 F. Grease 9-inch round pan. Mix flour, baking powder and salt together. In another bowl, mix butter and sugar until creamy. Add eggs and mix. Add almond extract. Add flour mixture slowly into butter mixture until combined. Pour batter into greased pan. 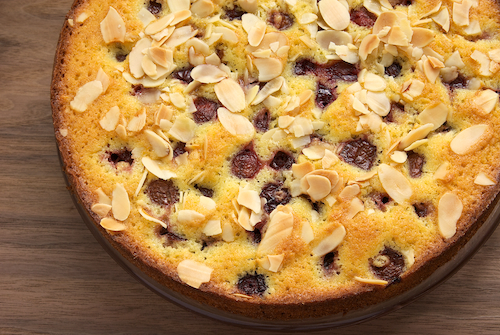 Sprinkle cherries and almonds over the batter. Bake for 45 minutes or until golden on top. Previous Entry:Vegan AND Ramen is now an option.